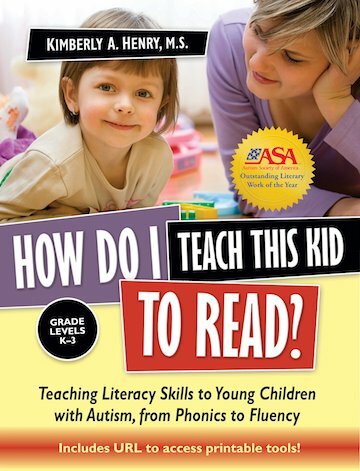 This book utilizes the strengths of children with ASD to help them develop new skills. Tasks are visually oriented and consistent, and expectations are clear. Children learn motor, matching, sorting, reading, writing, and math skills using easy-to-make “task boxes.” Tasks include pushing items through small openings (children love the “resistance” it takes to push them through), matching simple, identical pictures or words, sorting objects by color, size, or shape, and more! Ideas are plentiful, materials colorful, and children love the repetitive nature of the “tasks,” which help them learn to work independently! Sample data sheets are included. Book and CD.